This knife pattern is one that I developed that I’ve had waterjetted out of 154CM stainless steel. 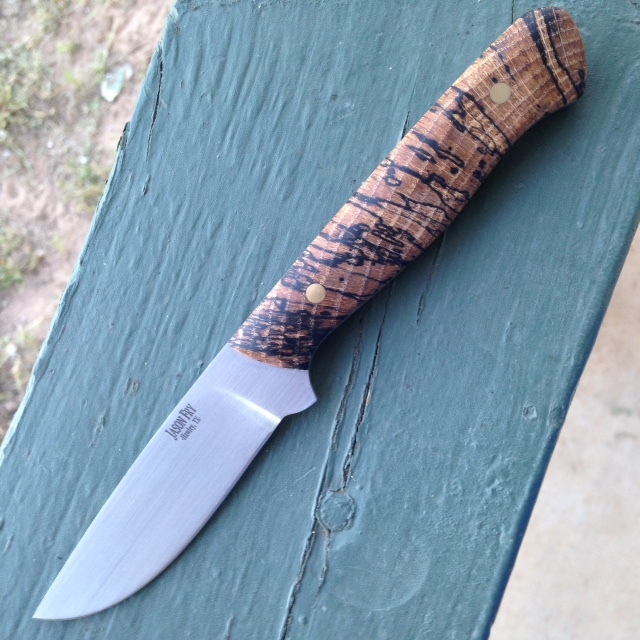 It’s what I use for my deer and hog skinning, and is just right for a small field knife. 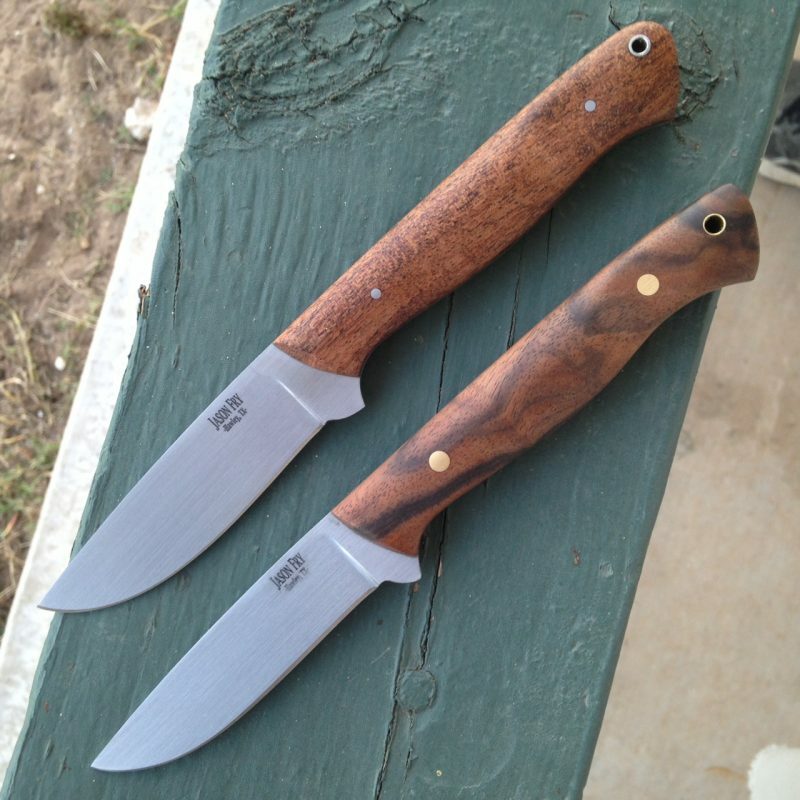 OAL is 7 3/4″ and the blade is 3 1/8″. 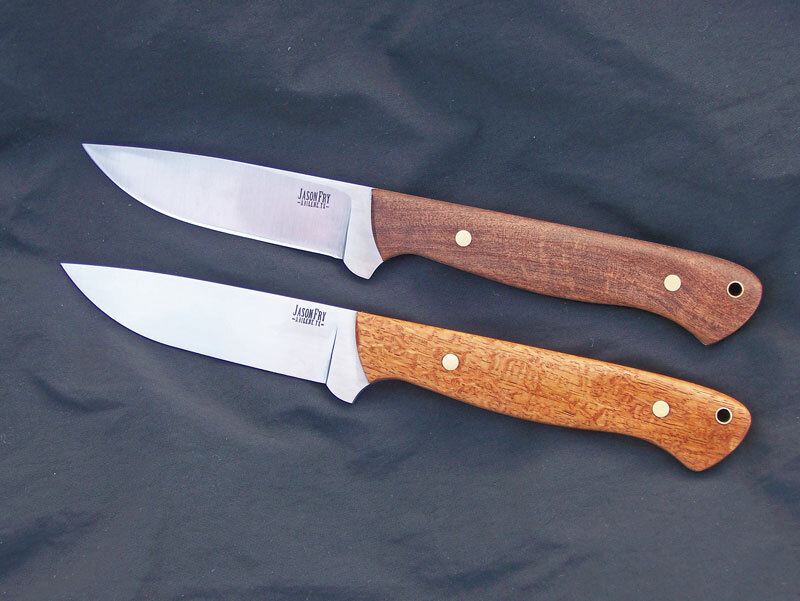 This knife is available in a wide variety of handle materials, including various woods and synthetics. The tangs are always tapered! Blades may be flat or hollow ground. If you wanted to order a knife but don’t know what you want, this knife is a good place to start. Prices start at $250.